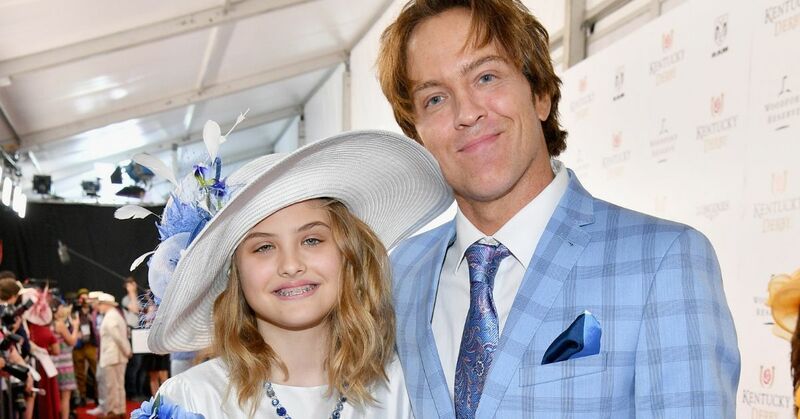 Larry Birkhead Reveals How He Helps His Daughter Stay "Normal"
Anna Nicole Smith's daughter Dannielynn Birkhead has had quite the life already. She's only twelve years old but she has gone through more than what a lot of us have to deal with in a lifetime. Her half-brother Daniel passed away when she was a baby, and then just a few short months after that her mother died. Young Dannielynn was only five months old, but there were three possible fathers. Larry Birkhead won the paternity suit after a three week long legal battle, and ever since he has been doing everything in his power to give her a normal life. The first thing he did was move back to his hometown in Louisville so he could get away from Hollywood. "It takes away the chase," he said back in 2016, "it takes away the curiosity, it takes away the false stories." He's always put his daughter's concerns first. Even though they've been approached by many companies to bank on her name, he's only actually allowed her to take one modeling job and that was for a very sweet reason. When Dannielynn was six years old, Birkhead allowed her to do a photoshoot with Guess, but the only reason she was allowed to was because her mom had actually done the same as a kid and he thought she would appreciate the connection. "Dannielynn has always looked up to her mom's image and...I think that this is kind of Dannielynn's way of paying tribute to her mom in her own special way," Birkhead said. "To see her mom's picture next to hers as a Guess girl and say, 'Hey, I was a Guess Kids girl, my mommy was a Guess girl,' that might be her only connection with her mom." But as time goes on, and Dannielynn's life continues to be the same as any other "normal" kid, she sometime forgets that everyone knows who she is. Apparently she has tried so hard to convince her dad to let her have a YouTube channel like all the other kids in her class, but he reminds her that because of her name she can't just make herself available like that online. "I still have to warn her that, you know, your friend might have a YouTube account, but if you have a YouTube account that's different," he said in an interview with Us Weekly, "because people know who you are." They mostly stay out of the public light now, with few pictures posted to their joint Instagram account, and a yearly trip to the Kentucky Derby, but she's still just a kid. She does however have one strange part of her life that most twelve year olds do not have to deal with: internet rumors surrounding her mother. Obviously, as Dannielynn gets older her questions will keep advancing, but Birkhead is doing his best to remind her that not everything the tabloids say is true. He tries to help explain how her mom died, but she is still so young that it can be difficult. "The way I've told Dannielynn in the past is that, 'Your mom took some medicines and she...might not [have] taken them correctly or the right way, and the doctors couldn't help her, and they tried,'" Birkhead said. But he's also aware that she can look things up online on her own, so he's warned her about the dangers of listening to rumors. "I have a block on her [computer]," he said in an interview on Wendy Williams' show. "We sit down and I have a talk with her and I say, 'You're going to see these things about your mom and not everything is true. I take a little bit of Anna's life and I put it into lessons." He seems as though he is infinitely proud of his daughter and how strong she is despite the rocky start to her life. "Sometimes you just have to say, 'I gotta let you go and become your own person,'" Birkhead said. "You can only do so much. Sometimes I'm amazed by the way she handles things." After the life she's had, it's remarkable that she's having such a normal childhood. Her dad is doing a great job with her and hopefully they continue to have a great relationship.